Hooray! 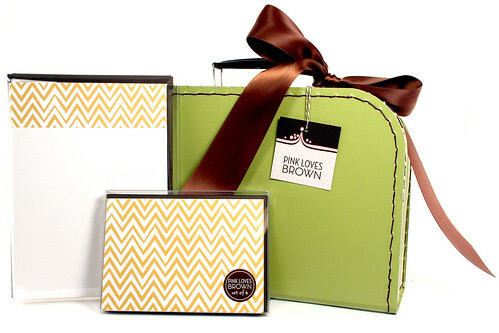 It took all day, but I’ve added 13 new paper suitcase gifts sets to the shop! Then I photographed and edited everything, posted the photos to flickr and my photo gallery, and updated the shop. Those are just three of the thirteen new sets. They’re all available now at Pink Loves Brown. p.s. 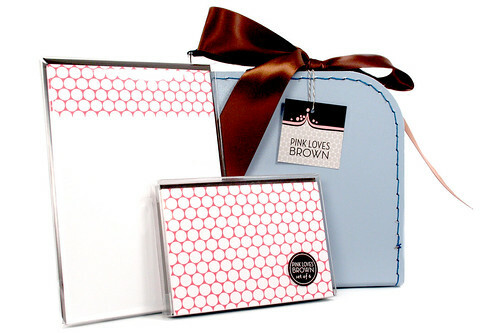 The stationery can be personalized for free! These are adorable! I’m just waiting till I move into my new place so I have space for all the cute stationery I’m itching to buy. In Germany I have not found similar products yet. I have a friend who would absolutely die for the green suitcase set! They are all gorgeous! These are so freakin cute!!! What a great gift!! GORGEOUS! Your presentation is impeccable as always:) Love the zig zags, reminds me of that Weintraub rug you have me pining for now (many posts back!!!) Such a mod classic and in yellow to boot!!! These are so cute. You do great work, and I just love your blog! 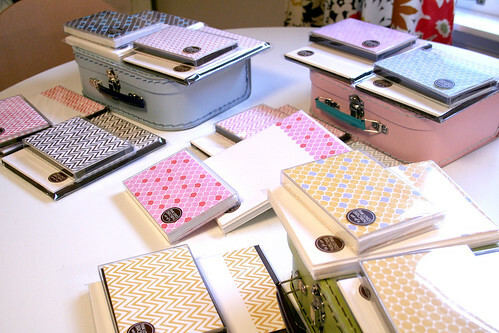 I absolutely love your stationary and your cute lil’ vintage suitcases. 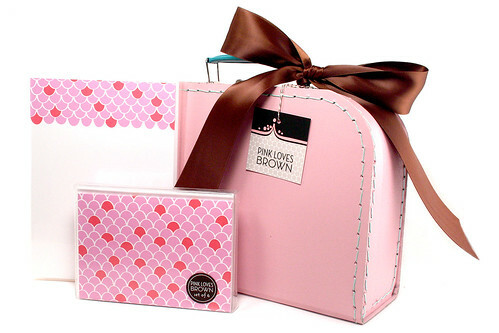 I love the gift sets so much that I had to post them on my blog. I’m definitely spreading the word about Pink Loves Brown. On your website the description of #51121, the mustard polka dots with the green suitcase, says that it’s a blue suitcase. Thought my favorite perfectionist blogger would like to know :) These are gorgeous and would make lovely gifts.